In an Australia we still remember, in each suburb and every country town, was the Greek café or milk bar—open all hours, 7 days a week. Remember the Niagara, the Parthenon, the California, the Astoria and Paragon? They gave us more than milkshakes, lollies, ice cream and home style meals. With Modernist designs, American gadgetry and coloured light, cafés brought atmosphere, a touch of glamour, at times a hint of Hollywood—a little break from the mundane reality of local life. As the good old days faded away, Effy Alexakis and Leonard Janiszewski took their camera and tape recorder, camera and pen into this vanishing world. They captured the faces and stories, the style and the ethos that gave our popular culture one of its most memorable expressions. This long-awaited and beautifully designed book presents Australia’s Greek cafés and milk bars as a global phenomenon in the modern era. Food-catering enterprises run by Greek migrant/settlers successfully married Hellenic and cross-cultural influences with local needs. Greek-run cafés and milk bars populated Australian country towns and cities, merging local fare with new American food-catering ideas. Prior to the explosion of American fast-food franchises, Greek cafés contributed to a major change in Australian eating habits. While a traditional mixed grill remained a favourite, Greek cafés were known for their introduction of American sodas, ice-cream sundaes, milkshakes, hamburgers, milk chocolate and hard sugar candies, into communities right across Australia. Alexakis’ stunning photographs capture the decor of the cafés, their customers and the owners who worked hard to make their businesses successful. In harmony with Janiszewski’s text and oral history interviews, the era of Australia’s Greek cafés and milk bars is vividly brought to life. Research undertaken throughout Australia and internationally highlights these catering enterprises as a ‘Trojan Horse’ for the Americanisation of Australian popular culture – not only affecting public eating habits, commercial food-catering ideas and technology, but also cinema, music and architecture. Throughout most of the twentieth century, Australia’s Greek cafés and milk bars were powerhouses generating unprecedented social and cultural change. This definitive national publication brings together over 30 years of research culled from travels within four continents, selected from over 1,800 interviews and innumerable contemporary and historical photographs. 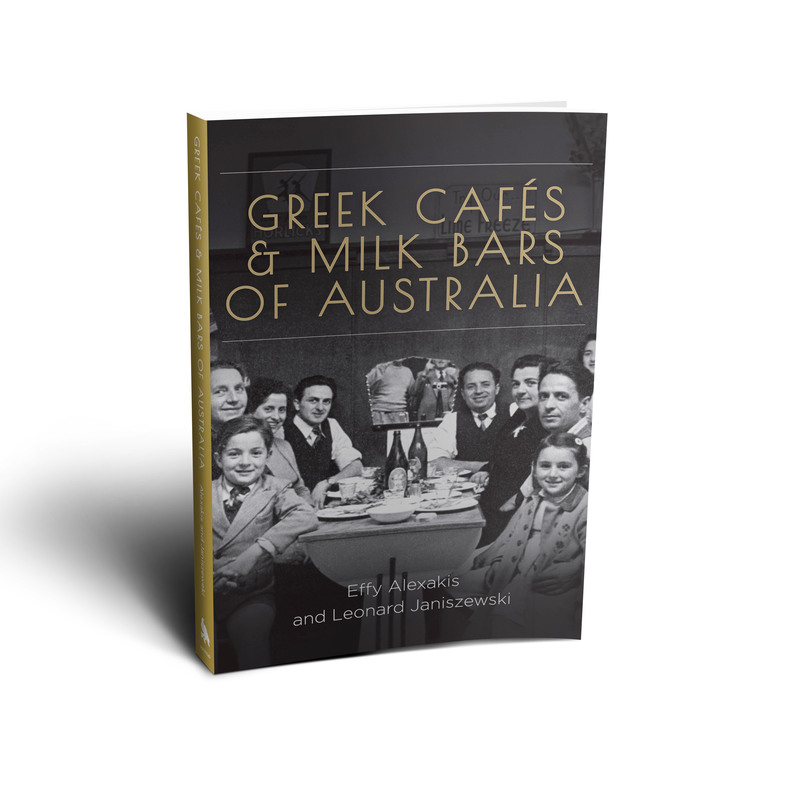 Hundreds of Australia’s Greek cafés and milk bars are referenced within the book’s 256 pages. The publication is a companion to the highly-popular and critically applauded touring exhibition Selling an American Dream: Australia’s Greek Café. 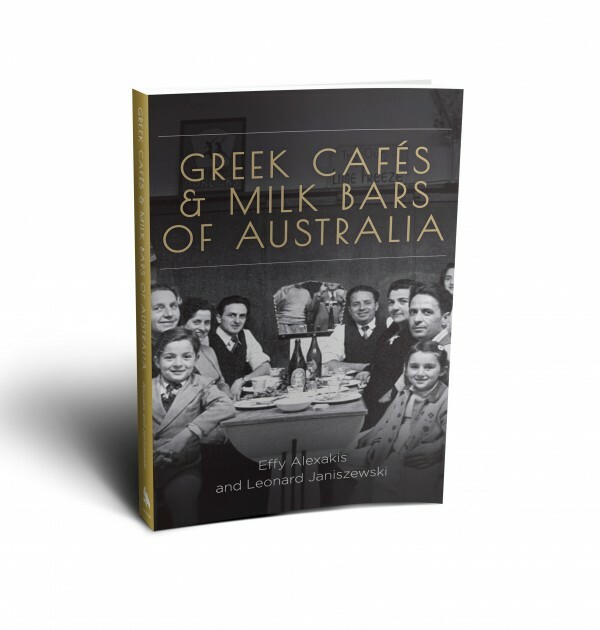 Congratulations on your launch of your new book Greek Cafes & Milk Bars of Australia. As soon as the launch of your new book was launched I purchased it straight away. 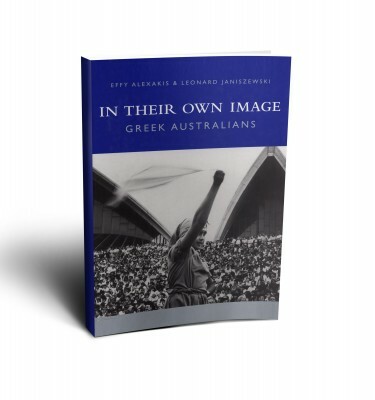 I have enjoyed reading and the photographs are amazing of your pictorial history of our Greek heritage in AustraliA and i am pleased that you included a section for the Greek American Greeks & Cafes in Alexandra, Egypt. 1. Comino Brothers in Salinas. California – part of my genealogy research on my mother’s extended family in California (born in Nemea but her cousins live in California) I will forward this on to them. 2. Mick Adams – From Asia Minor – Peristalsis, Marmaras – Again from genealogy research – i have sent a copy of his naturalisation papers to a family member who is in contact with this family. 3. I love the section on the Greeks from Alexanddra.Egypt. Very important to recognise that the shop culture was worldwide and the photos are wonderful. 4. I love the stories of the early Greeks past present and the photos. You both have been my inspiration from when I first started to research my family history from Tenedos. I have started to write stories and combine the photos that I have in my collection. It is still in the early stages as far as stories but I have many photos. I am hoping I will be able to do a small launch on the island of Tenedos (Bozcaada) when I visit this year in July 2016 at the local museum. Thank you for you complements on my Facebook page the Preservation of the Hellenic Heritage of Tenedos, I have been doing it for about 20 years. Please send me an invitation and update on your launch in Melbourne. as I would love to attend. I also am a member of AHEPA and would love to forward this invitation to my fellow members if that is okay.